Want to disable cache for few pages of your website? Want to set 301 redirect rules from Cloudflare? All these requirements can be fulfilled using Cloudflare Page rules. 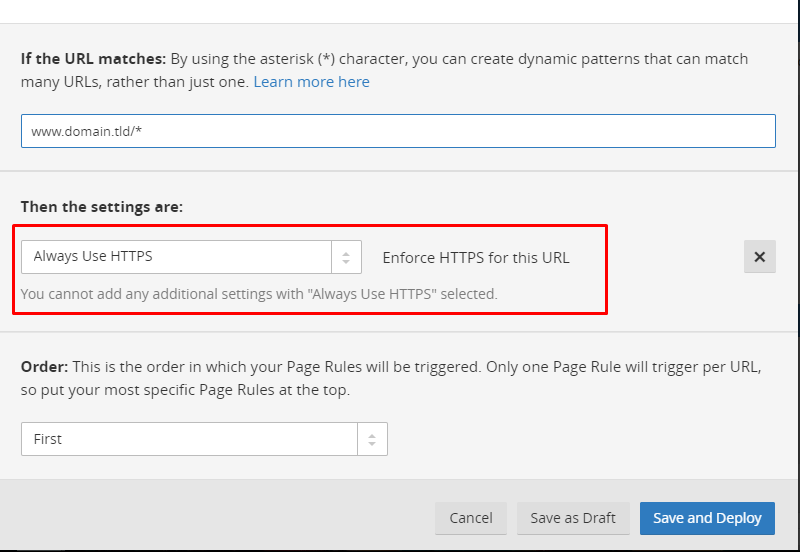 Set the rule settings to “Always HTTPS”. This will force your every webpage, subdomain to redirect to HTTPS. Similarly, you can disable “Cache Level” for some of the pages on your website like wp-admin and wp-login.php pages of the WordPress website. For disabling cache for wp-admin panel follow steps #1 to #4 above first followed by below steps. Similarly, create another page rule for URL and save to deploy. Note – The Free plan under Cloudflare allow 3-page rules.